Police stopped and caught a boozed-up motorist after they thought he had been driving too fast. Chesterfield magistrates’ court heard on Wednesday, April 18, how Michael McCarthy, 28, of Bowden Lane, Chapel-en-le-Frith, had been driving a Skoda Citigo on Anncroft Road, Buxton, when he was spotted by police. 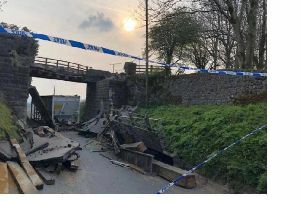 Prosecuting solicitor Lynn Bickley said: “Police officers were on duty just before midnight on March 11, on Anncroft Road, at Buxton, on routine patrol when they saw a vehicle driving at what they believed was over 30mph along Macclesfield Road across the junction of the A53. McCarthy accepted he had been driving over the speed limit and he admitted having six or seven beers after he had been drinking at the Queen’s Head public house before returning home. The court heard that McCarthy registered 81microgrammes of alcohol on 100millilitres of breath when the legal limit is 35microgrammes. He pleaded guilty to exceeding the alcohol drink-drive limit. Defence solicitor Denny Lau said McCarthy had been going through a difficult time due to work issues at a former job and he had been encouraged to go out and see his friends on the evening he was caught drink-driving. Magistrates fined McCarthy £120 and ordered him to pay £85 costs and a £30 victim surcharge. McCarthy was also disqualified from driving for 20 months but his ban could be reduced by 22 weeks if he completes a drink-drive rehabilitation course.